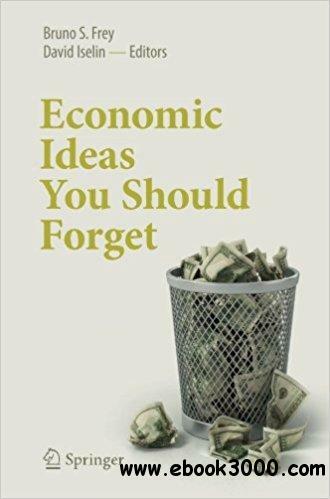 Reporting on cutting-edge advances in economics, this book presents a selection of commentaries that reveal the weaknesses of several core economics concepts. Economics is a vigorous and progressive science, which does not lose its force when particular parts of its theory are empirically invalidated; instead, they contribute to the accumulation of knowledge. By discussing problematic theoretical assumptions and drawing on the latest empirical research, the authors question specific hypotheses and reject major economic ideas from the "Coase Theorem" to "Say's Law" and "Bayesianism." Many of these ideas remain prominent among politicians, economists and the general public. Yet, in the light of the financial crisis, they have lost both their relevance and supporting empirical evidence. This fascinating and thought-provoking collection of 71 short essays written by respected economists and social scientists from all over the world will appeal to anyone interested in scientific progress and the further development of economics.